It's a relief to hear that, sometimes, your prayers do get answered. So as Easter rolls around once again and there's an abundance of creme eggs overflowing on supermarket shelves, we've never been more grateful that Reece's have finally got their act together and released a peanut butter creme egg. Yeah, you heard right - a peanut butter creme egg. Ant and Dec. Cinemas and popcorn. Bert and Ernie. Whilst fabulous, non of these famous pairings even come close to the sweet, sweet relationship between peanut butter and chocolate. It's beautiful, kismet, delicious. 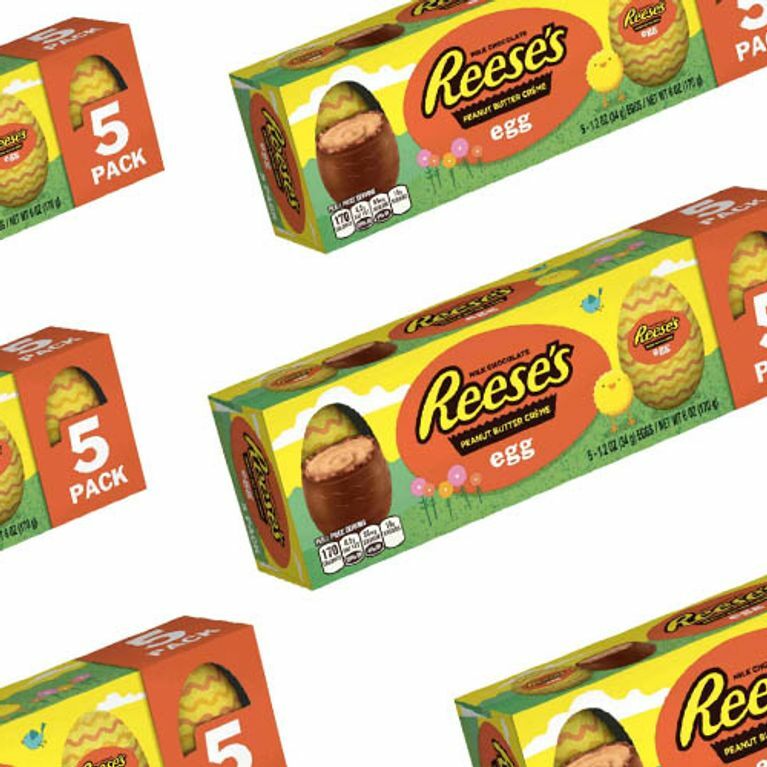 So when we heard that Reese's, whose whole deal is peanut butter and chocolate, have brought out a PB & C egg for easter, we realised it was really only a matter of time before this dream became a reality. Sure, it's going to be so sickly, like so so sickly, and you're going to need enough tap water to fill the Hoover Dam in order to be able to eat a whole one, but come on guys - it's what we've always dreamed of! The eggs are available in packs of five and come with a teeny tiny itty bitty totally adorbs purple spoon to help you get all that PB goodness out in one clean scoop but hey - cut out the middle man and put it in your mouth whole for crying out loud. We've waited our entire lives for this moment, lets not waste another moment! Reese's peanut butter eggs are unfortunately only a reality in America at the moment, but if you can find a friend that's got a stateside holiday coming up soon I suggest you badger them to take an extra suitcase for all those delicious souvenir PB eggs they're going to bring back for you.